The Applied Power Electronics Conference (APEC) is set to roll in Tampa, Florida with new SiC and GaN product solutions as well as a continuing focus on power efficiencies combined with next-generation design, test and measurement innovations. APEC 2017 (26-30 March) is set to roll in Tampa, Florida (USA) with more than 240 exhibits focused on wide-ranging power electronics requirements for industrial manufacturing and end use consumer devices. This year's event will bring additional focus on IoT developer requirements and growing opportunities in conventional automotive applications and electric vehicles. Support for power requirements across cloud data centers as well as high-efficiency power handling solutions employing GaN, SiC and related technologies will also be showcased. APEC focuses on practical and applied aspects of power electronics industry as well as theoretical and novel solutions for global electronics requirements. The conference and exhibition annually brings together power electronics professionals from all supply chain sectors to exchange technical knowledge; APEC also serves as a starting point for new and valuable industry connections. The 2017 program was developed around the idea of evolving opportunities to meet the higher efficiency power handling, conversion, transmission and storage requirements of the global marketplace as well as power requirements for end user devices. The event begins 26th March and continues through the 27th with pre-exhibition professional seminars and IEEE sub-committee meetings. This year's pre-exhibit program focuses on these primary themes: Design, SiC, Control, Components and Systems, EMI and Reliability, as well as Wireless Charging and Magnetics. APEC's 2017 Design seminar program will include presentations on bidirectional DC-DC converters; a comprehensive review of implementing a fully-digital LLC resonant converter and switching regulator input filter requirements. The SiC seminars will include a deep dive on silicon carbide MOSFETs; implementing SiC power devices and best practices for electric vehicles as well as high volume SiC fabrication for power converter applications. The Control seminars will examine direct digital compensator designs, small-signal stability and subsystem interactions in distributed power systems and current mode control and modeling. Presentations at Components and Systems seminars will include a look at high power silicon and SiC module technology; advanced packaging technologies for wide bandgap power devices, and a look at Google Little Box "˜reloaded.' EMI and Reliability seminars will include presentations looking at causality, measurement and reduction techniques for handling EMI in switch-mode power converters; an introduction to EMC, and designing for reliability of components and systems. The Wireless Charging and Magnetics seminar will examine practical stationary and dynamic charging EV designs; high frequency magnetics design, measurement and modeling, and high frequency planar magnetics for power conversion. Exhibitor seminars typically focus on product-enabled solutions; however, many also look at industry issues and offer an opportunity to hear from product design and marketing engineers as well as theorists working to create next-generation technology. 2017 exhibitor seminars cover a wide range of topics such as the origins and implications of predictive energy balancing; simplifying Li-ion battery powered designs; new passive component requirements in the age of GaN; graphite solutions for power electronics cooling; and an approach to designing with GaN that promises to arm attendees with what they need to create new devices in 1 hour or less. APEC will also see scores of new product releases focused on the latest high-efficiency solutions that utilize advanced SiC and GaN resources as well as new approaches utilizing silicon-based technologies that deliver improved performance for the latest manufacturing requirements. Analog Devices "“ The company has announced an ultra-low power microcontroller unit (MCU) that addresses the rapidly growing need for embedding advanced algorithms while consuming the lowest system power at Internet of Things (IoT) edge nodes. The ADuCM4050 MCU includes an ARMÂ® CortexÂ®-M4 core with floating-point unit, expanded SRAM, and embedded flash memory that allows localized decision making to ensure that only the most important data is sent to the cloud. The new MCU uses SensorStrobe™ technology, which enables the ADuCM4050 MCU to deliver over 10 times system-level power savings that result in extended battery life. APEC stand number 213. Coilcraft "“ The company is a leading global supplier of magnetic components including high performance RF chip inductors, power magnetics and filters. In addition to a large selection of standard components, Coilcraft also designs and builds custom magnetics to fit a customer's exact electrical requirements. The company's new low loss power inductors are optimized for switching frequencies up to 5+ MHz with extremely low DCR (as low as 2.5 mOhms) and ultra-low AC losses for the highest efficiency across a range of frequencies (2 to 5+ MHz). APEC stand number 1211. Fuji Electric "“ The company recently released two new power semiconductor products: a power supply control IC (PFC control IC, model no. FA1A60N) and an LLC current resonance control IC (model no. FA6B20N). The new devices automatically detect output and reduce switching frequency in order to limit power loss. 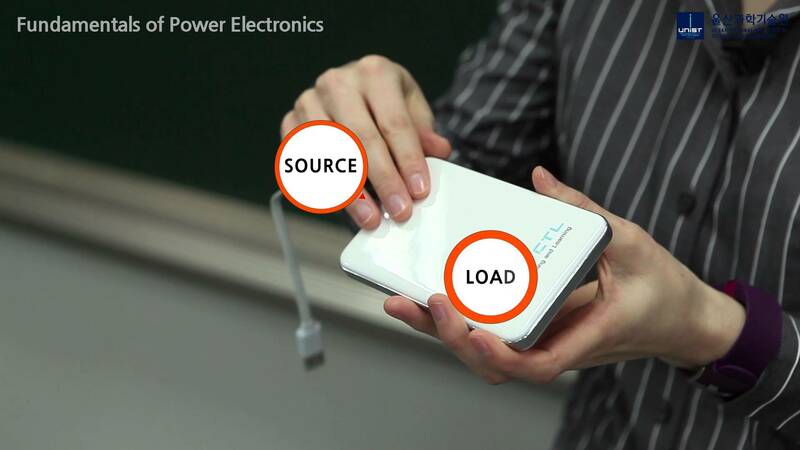 With an AC input voltage of 230 V and 3% (light load) of a maximum output power, for example, the new devices are able to cut back power loss by 22% compared to our conventional products. The power supply control features make it possible to reduce the number of parts required when using Fuji's conventional products by 15% (parts needed to detect output power, for example, can be eliminated). Fewer parts helps lower the cost of power supply devices. APEC stand number 1224. GaN Systems -- The demand for more power in electronics continues to increase, while the space allowable for power is decreasing. Power densities are increasing 3X or more in many applications. This increase in power has the collateral effect of producing more heat, which traditionally results in the use of higher capacity fans and bigger heat sinks to prevent overheating and system failure. By replacing legacy power management circuits based on silicon MOSFETs and IGBTs with gallium nitride (GaN) transistor-based circuits, customers have designed power electronic systems that deliver 3X the power in the same size, or the same power in 1/3rd the size while miniaturizing or completely eliminating the requirement for fans and heat sinks. Discuss your requirements and let us create the ideal approach for solving your product needs. APEC stand number 1501. Globalfoundries "“ Globalfoundries is the world's first full-service semiconductor foundry with a truly global footprint. With operations in Singapore, Germany and the United States, Globalfoundries is the only foundry that offers the flexibility and security of manufacturing centers spanning three continents. APEC stand number 1632. Heraeus Electronic Materials Division -- Heraeus Electronics provides an innovative portfolio and expertise in matching materials for high performance electronics. Heraeus' materials solutions will shorten development cycles, lower costs, and bring next generation products to market faster. APEC stand number 1335. Keysight Technologies "“ The company is a leading electronic measurement company, transforming today's measurement experience through innovations in wireless, automotive and energy, and software solutions. Keysight's focus on measurement helps scientists, researchers, and engineers address their toughest challenges with precision and confidence. APEC stand number 411. Kulicke and Soffa Industries -- K&S is celebrating its 65th year of innovative leadership as a provider of semiconductor packaging and electronic assembly solutions supporting the global automotive, consumer, communications, computing and industrial segments. APEC stand number 936. Mentor Graphics "“ The company will be promoting its MicReDÂ® (Microelectronics Research and Development) family of hardware and software products that enable component and systems suppliers to accurately and efficiently thermally test, measure and characterize integrated circuit packages, single and arrayed LEDs, stacked and multi-die packages, power electronics, thermal interface materials (TIMs), and complete electronic systems. APEC stand number 1531. New England Wire Technologies "“ The company designs and manufactures the most advanced wire and cable in the industry with short lead times, rapid prototyping and unparalleled customer service. The company specializes in custom designs including ultra-flexible, miniature/micro miniature, multi-conductor and coaxial cables, braids and Litz constructions, as well as hybrid configurations. Each order can meet unique performance characteristics or exacting specifications. APEC stand number 1215. NXP Semiconductors "“ The company announced a wide range of product solutions leading into the Embedded World conference (Nuremburg, Germany,) earlier in March designed around requirements for automotive, IoT and general industrial applications. Its latest flagship device is the i.MX 8X processor family, which NXP describes as the first i.MX offering to feature error correcting code (ECC) on the DDR memory interface, combined with reduced soft-error-rate (SER) and increased latch-up immunity. The devices support industrial Safety Integrity Level 3 (SIL 3) for innovative industrial and automotive applications. The IoT is also heavily supported by NXP new products including its ARM Cortex-M4 based MCU with that the company calls the industry largest embedded SRAM memory; it is optimized for mobile devices. APEC stand number 1122. Panasonic "“ The company provides ENELEAD, the "Total solution of power devices", which supports power system design and purchasing of components, allowing you to select a suitable small, high-efficiency power device, to easily perform a design and evaluation of power. The company expects to release other advanced power management solutions for automotive and industrial applications. These include solutions contributing to energy savings, product size reductions, efficiency improvements for power conversion and better heat management for customer applications, such as the next generation power devices in SiC and GaN. APEC stand number 201. Renesas Electronics "“ The company is the world's number one supplier of microcontrollers and a premier supplier of advanced semiconductor solutions including microcontrollers, SoC solutions, and a broad range of analog and power devices. It recently announced its RZ/N Series of industrial networking communication microprocessors (MPUs) that simplifies application development. The RZ/N Series is ideal for use in industrial network devices such as network switches, gateways, programmable logic controllers (PLCs), operator terminals, and remote I/O units. The RZ/N enables system manufacturers to develop products supporting a variety of industrial network and redundancy protocols in less time. APEC stand number 926. STMicroelectronics' "“ The company recently released the PM6773 and PM6776, step-down controllers that meet demands for more accurate and energy-efficient power delivery in servers and data centers using the latest low-voltage, high-current microprocessors, ASICs, and field-programmable devices. In particular, the new ICs are designed to power Intel Skylake CPUs and DDR4 memories, extending ST's family of digital step-down controllers for Intel VR13 platforms. STMicroelectronics Launches Digital Multiphase Controllers for Energy-Efficient Power Delivery in Servers and Data Centers. APEC stand number 803. Tektronix Inc. "“ The company has been at the forefront of digital age for 70 years, delivering advanced, precise, and highly capable test / measurement solutions that help to accelerate global innovation in power electronic designs. Tektronix recently announced new optical modules for its DSA8300 sampling oscilloscope that feature the industry's highest mask test sensitivity and lowest noise along with new features that increase production capacity and improve yield for current 100G designs moving into production. The company has also outfitted Raspberry Pi R&D labs with the latest in measurement equipment for ongoing and future design work. APEC stand number 934. Texas Instruments "“ The company's new ISOW7841 is a single-chip reinforced isolator with integrated power offering 80 percent higher efficiency than existing integrated devices. With the industry's most efficient power transfer, lowest radiated emissions and highest immunity this new reinforced isolator supports reliable operation of industrial systems, including factory automation, grid infrastructure, motor control, isolated power supplies, and test and measurement equipment. APEC stand number 701. Transphorm "“ The company is a leader in the design and manufacturing of JEDEC-qualified 650V GaN (gallium nitride) semiconductors. Transphorm's innovations are moving power electronics beyond the limitations of silicon to achieve 99% efficiency, 40% increase in power density and 20% system cost reduction. APEC stand number 824. Vincotech GmbH "“ The company designs and manufactures a wide range of power modules from 4A to 1800A and 600V to 2400V. Topologies include IPMs, PIMs, sixpacks, rectifiers, PFC, H-bridges, half-bridges, and boosters as well as NPC/MNPC/AM-NPC and custom modules. APEC stand number 1032. Wolfspeed "“ The company is leading the innovation and commercialization of silicon carbide and gallium nitride, liberating designers to invent power and wireless systems for a responsible, energy-efficient future. Wolfspeed's wide bandgap semiconductor products for power and radio-frequency (RF) applications deliver new levels of performance through increased efficiency, higher switching frequency and reduced system size and weight for the transportation, industrial, energy and communications markets. APEC stand number 1110. APEC succeeded the International Power Electronics Conference (1975-1984), which was better known throughout the industry as POWERCON. APEC began in 1990 and has grown from 30 exhibitors in 1991 to more than 240 in 2017. The event is expected to draw thousands of attendees from companies located primarily across North America, Europe and Asia.